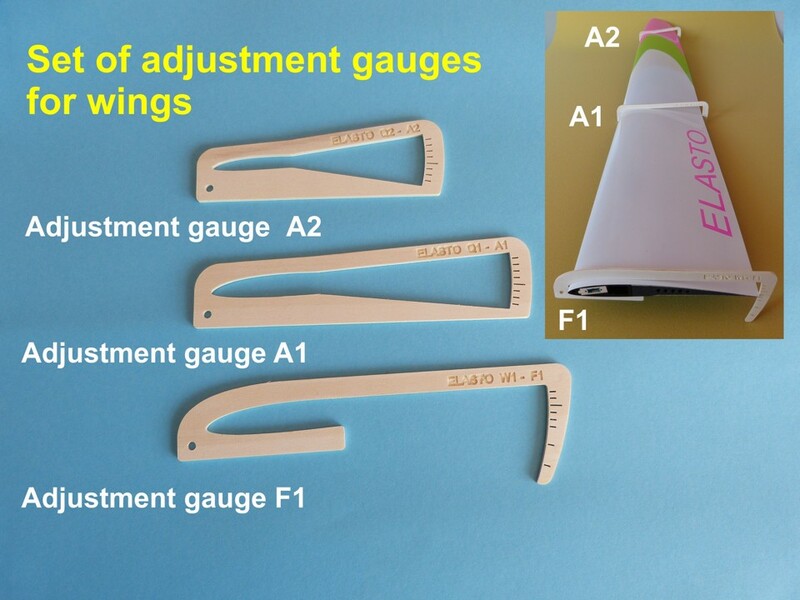 1 set of adjustment gauges is included in the model’s package. To set the zero point and set the deviation’s value. For easy adjustment we recommend 2 sets (left and right). Price see our price list. 1 pc. 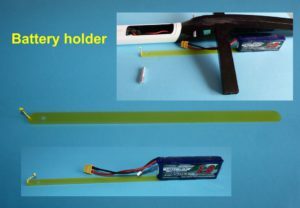 battery holder is included in the model’s package. If you use several battery packs, we recommend to order the certain amount of battery holders. The servos have to be ordered separately. Total weight of all servos is about 154 grams (5,5oz). 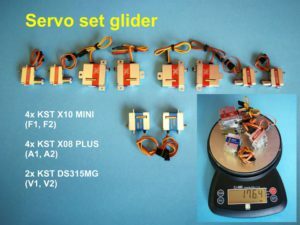 Singel price servos see our price list. 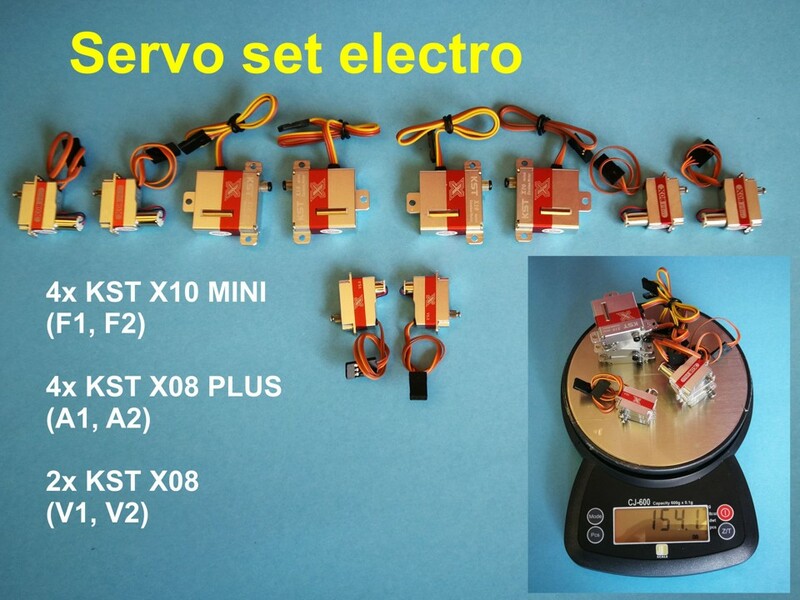 Total weight of all servos is about 176 grams (6,3oz). 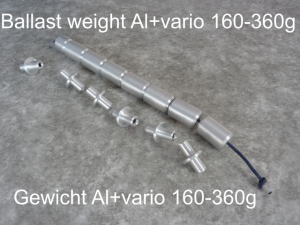 Ballast weight AL+vario 160-360g, for GV. Additional weight for glider version (F3J). 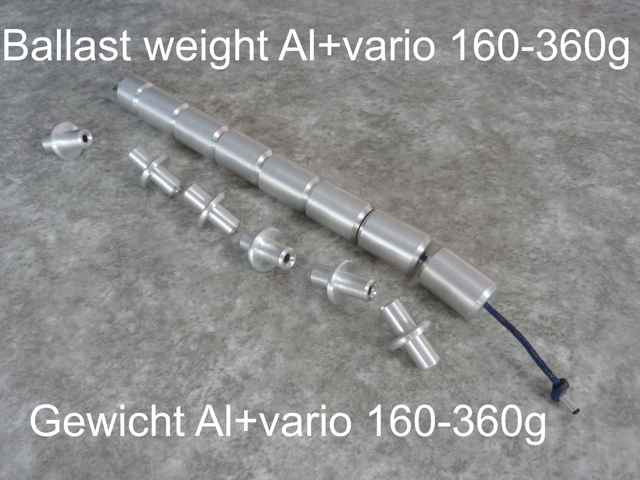 By combining the lighter and heavier individual weights, the total weight can vary between 160-360 grams. Ballast inlets for EV, GV. 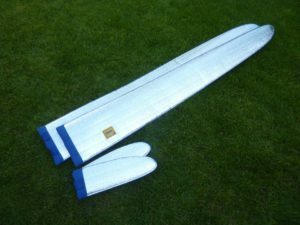 Additional weight for electric (F5J) and glider version (F3J). 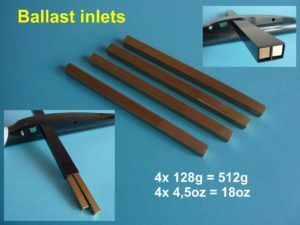 Insert the additional weight into the wing joiner. Bridge for Futaba receiver (set). 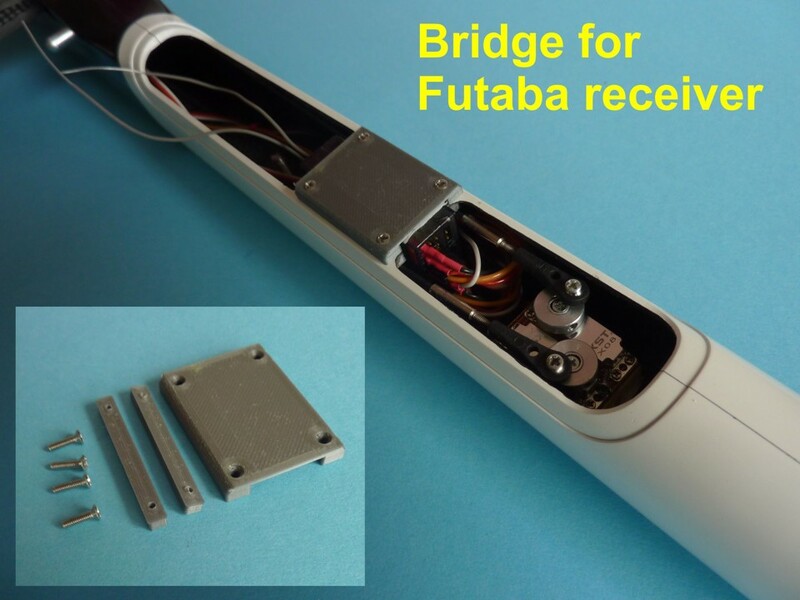 Suitable for Futaba receiver R6014FS, R6014HS, R7014SB. Set of protective bags for wing and V-tail. 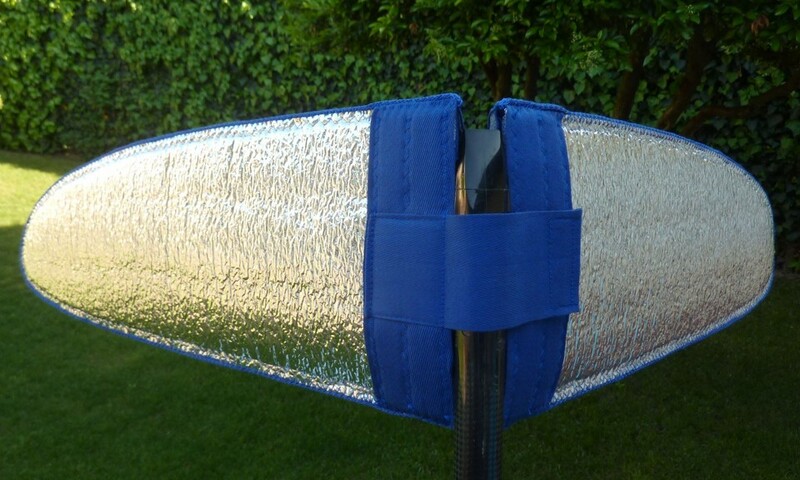 Surface made of sturdy aluminum foil, which provides the best protection from the sun’s rays. The soft padding on the inside of the protective bags absorbs shock and force very well and thus promotes the longevity of the model. 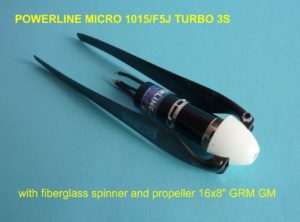 Drive unit Schambeck POWERLINE MICRO 1015/F5J TURBO, optimized for 3S lipo ( more information here). Drive unit Schambeck POWERLINE MICRO 1020/F5J TURBO, optimized for 3S lipo ( more information here). 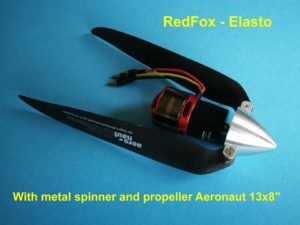 Drive unit specially developed by us for the Elasto model. 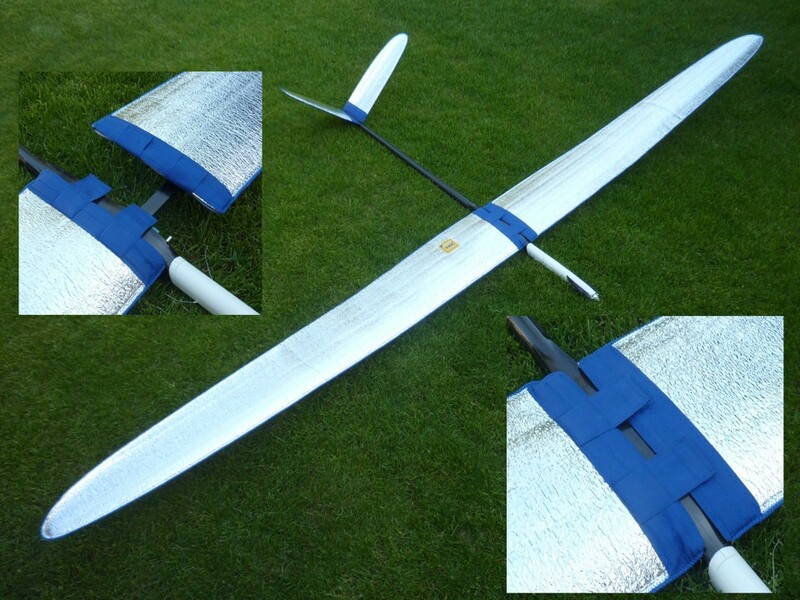 Reccommended battery: Hacker TopFuel 25C-ECO-X 1300mAH 4S F5J-EDITION (not avilable from us). 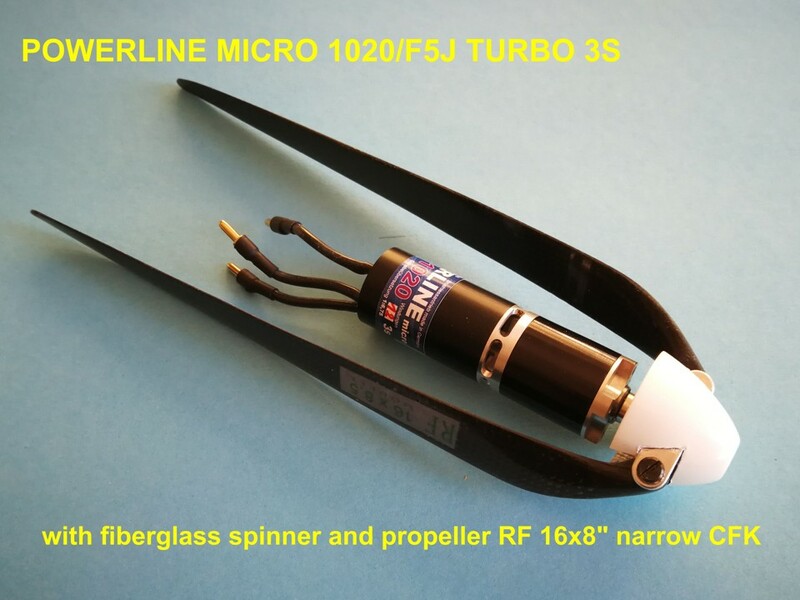 With this drive unit climb the model above 10m/s with a current consumption 26A. We have been testing this drive unit for more than 2 years on our own Elasto models (current January 2019), so far without any problems.